Police in China’s restive Xinjiang region opened fire Tuesday at a protest by hundreds of mostly Muslim ethnic minority Uyghurs angry over the detention of several women and middle school girls for wearing headscarves, according to residents who fear several were shot dead. The mass protest in front of government buildings in a township in Aksu prefecture’s Kucha county turned violent when participants beat the principal of the girls’ school and a township official and pelted stones at the buildings, the residents said. Eyewitnesses said up to four people may have been killed and several others wounded when special armed police blasted several rounds of gunfire at random apparently to control the swelling crowd near the Alaqagha township state buildings. Police also detained dozens among the protesters, who had demanded the immediate release of the girls and several other women detained by local authorities for wearing headscarves and Islamic robes. “I heard the sound of gunfire. All the protesters were shocked and fled in different directions,” a Uyghur woman who was at the protest scene told RFA’s Uyghur Service. She said the incident was triggered by an ongoing crackdown by local authorities on Uyghur men sporting beards and women wearing headscarves as well as on schools with girls adhering to Islamic dress. An unknown number of them had been detained by the authorities in recent days. “Their families and relatives gathered at the main door of government buildings today and demanded that the detainees, including schoolgirls, be freed,” the woman said, adding that the protests became bigger as other residents joined to express their anger over the detentions. She said the protesters beat the principal of the Alaqagha township middle school—identified as Tursun Qadir—who helped the authorities round up girls wearing headscarves. Police who were contacted by RFA said the situation had calmed down by late Tuesday but refused to provide details such as the number of fatalities and of those detained. “The situation is already under control,” an officer at the Alaqagha township police station said, declining to elaborate on the incident, the latest in a series of violent events to rock Xinjiang. An officer at the neighboring Dongqotan police station, when contacted, said police were huddled in an emergency meeting and wanted all queries to be directed to the county authorities. Many Uyghurs say headscarves are a marker of Uyghur rather than Muslim identity. Chinese authorities, however, discourage the wearing of headscarves, veils, and other Islamic dress in the region. More than 100 people, mostly Uyghurs, are believed to have been killed in violence in the region over the last year as the authorities launched an aggressive campaign to clamp down on dissent and suppress what they call “separatist” campaigns. A woman resident of Alaqagha said she heard numerous gunshots from her house several meters away from the protest site on Tuesday. She said power supply to the township has been cut off and security forces were in full force in the streets. Security has been stepped up across Xinjiang since three people were killed and 79 injured in a knife and bomb attack on a railway station in the regional capital Urumqi when President Xi Jinping concluded a visit to the region last month. Following the attack, Xi called for “decisive actions” against such raids, saying “the battle to combat violence and terrorism will not allow even a moment of slackness,” the official Xinhua news agency said. Deadly 2009 ethnic riots between Uyghurs and Han Chinese in Urumqi left around 200 people dead and sparked a security crackdown targeting Uyghurs. 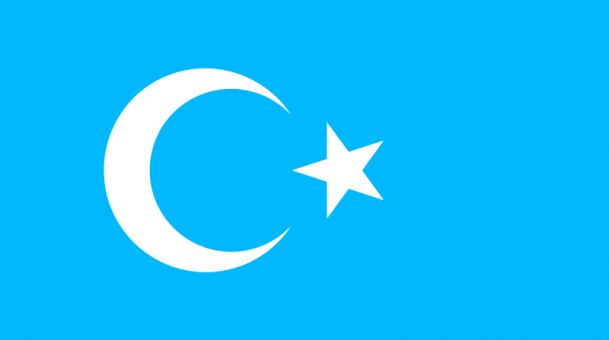 Reported by Eset Sulaiman for RFA Uyghur Service. Translated by Eset Sulaiman. Written in English by Parameswaran Ponnudurai.